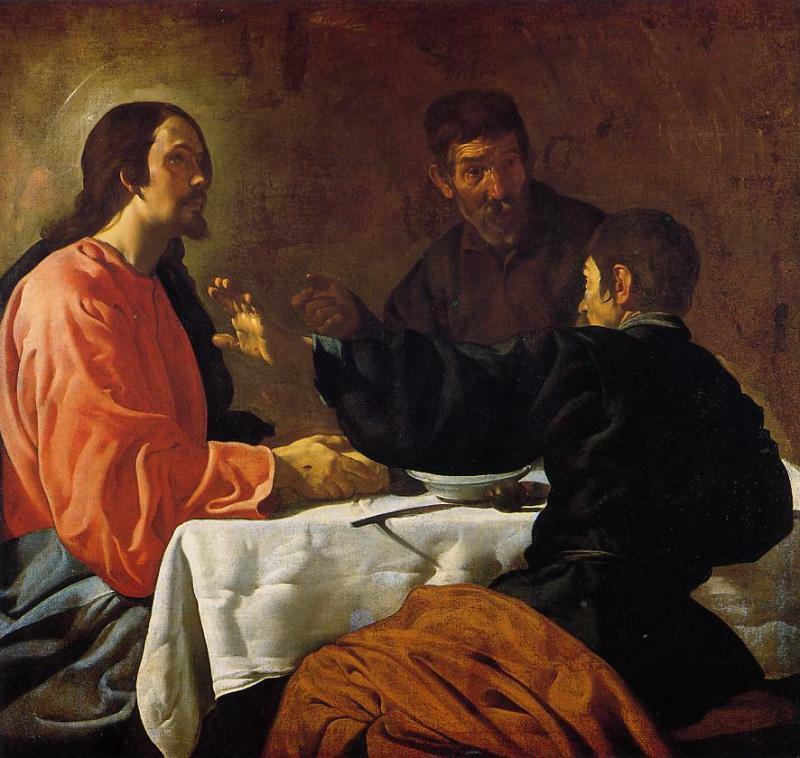 Artwork: Diego Velázquez, The Supper at Emmaus, 1622-23. Oil on canvas, Metropolitan Museum of Art, New York. Fr. David Curry has collected his Holy Week and Easter meditations and homilies, based on the Scripture text, “What mean ye by this service?”, into a single pdf document. Click here to download “What mean ye by this service?”. These homilies were originally delivered and posted earlier this week on Palm Sunday through Easter Day. This has been our text throughout the Passion of Christ and one which now carries us into this day and to the proclamation of this day: Christ is risen, Alleluia! Alleluia! 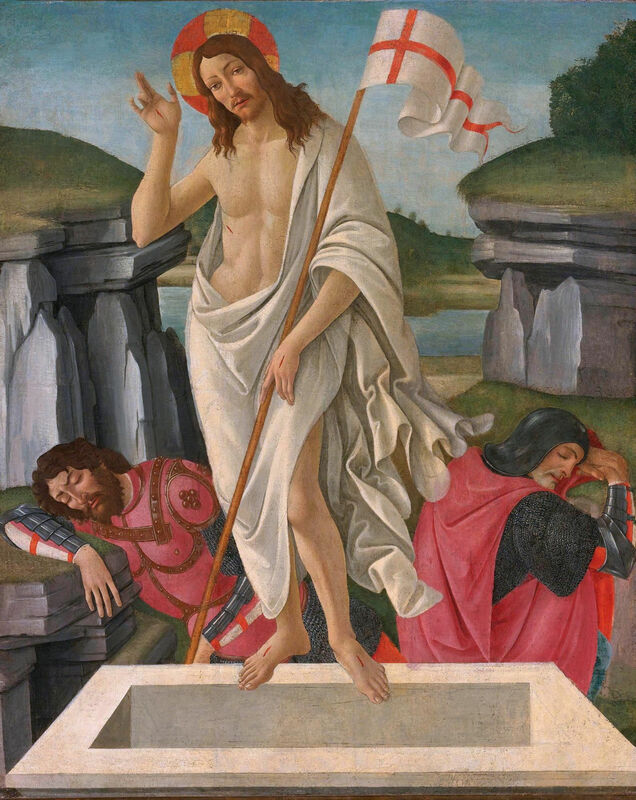 The Lord is risen, indeed, Alleluia! Alleluia! Now that’s a greeting! And one to be shouted out. It says a bit more than “Happy Easter” which might just as well mean, “May the bunny be with you!” Maybe even a chocolate bunny. Just saying. The great and ancient Easter greeting on this day is the proclamation of the Resurrection. Christ is risen. Alleluia! Alleluia! And yet, the real meaning of this day, paradoxically it might seem, is that we are dead! For if we are not dead, then we shall not be alive. “You have died,” Paul tells us, “and your life is hid with Christ in God.” What this means is sacrifice in its deepest and truest meaning. 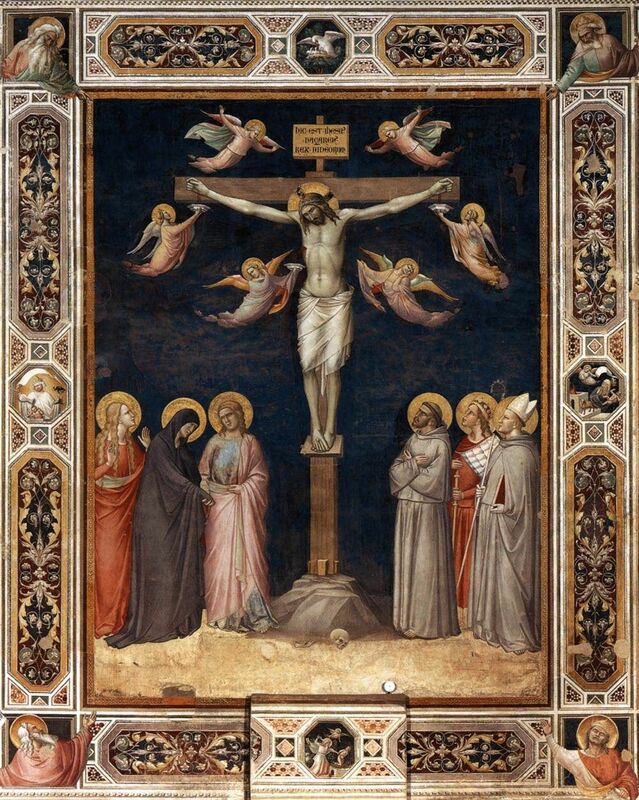 Holy Week is about the Passion of Christ in all of its intensity but only so as to bring us to this day, the day of Resurrection, itself the fruit of the Passion and thus utterly meaningless without the solemn events of Holy Week and especially Good Friday. There can be no Resurrection without the Passion. Bronwyn’s baptism is our Easter joy. Her baptism is a reminder of our vocation and calling, a reminder of the realities of death and life, a reminder of the radical new life of the Resurrection precisely through our dying to ourselves in order to live for God and for one another. She died and now she lives. And all because of the Passion and Resurrection of Christ. That is the meaning of this service. We are dead so that we may live. Our life is not in ourselves. It is all Christ and all Christ in us. His sacrifice is love, a love made visible on the Cross and in his Resurrection. The Resurrection is radical new life because it grounds us in the only life there is, the life of God in Christ. The Resurrection is the new and greater creation, the making of life and joy out of the nothingness of human sin and evil and of suffering and death. That is its radical meaning. God and God alone makes out of nothing both in creation and in redemption. The Resurrection is the greater creatio ex nihilo, the greater act of making new. The Crucifixion is not a gothic horror tale, a Stephen King shocker. It is graphic, to be sure, but it is the graphic portrayal of the nature of all sin and evil. We kill God. At least that is what all sin attempts, the attempt to deny the very principle of life upon which our being, our knowing and our loving completely and utterly depend. 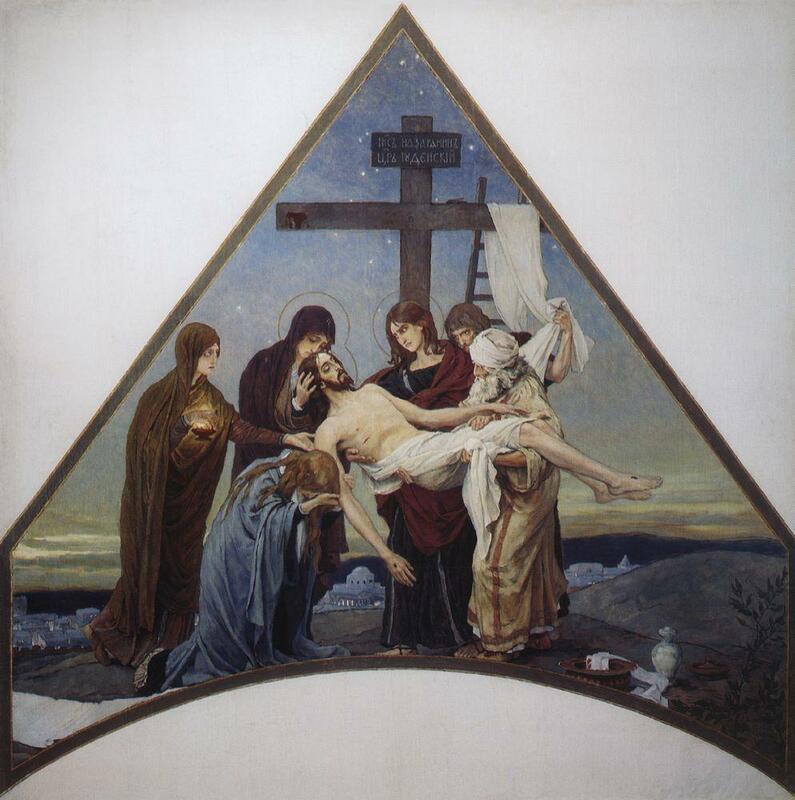 The Crucifixion makes that reality visible even as the Resurrection makes visible the overcoming of all sin. Both are the graphic lessons of love. Such is a new beginning just as Bronwyn’s baptism marks a new beginning, a new life, one made visible to us in the act of baptism. We can only know it retroactively, after the fact, as it were. The Resurrection is the great new creation, God’s redemptive act that restores and renews our humanity and the world. The Passion and the Resurrection are cosmic events, we might say, arguing for a much more intimate and closer relationship between our humanity and the natural world than what we currently experience in our disordered world. Like creation, we can only know the Resurrection after the fact and yet that only leads to a whole new way of thinking that means seeing everything before it in a new light. In a way, the Easter Vigil is about that whole new way of thinking and seeing things. It is about a recapitulation of the past seen now in the light of the Resurrection. The ceremonies of the Vigil are traditionally long (three hours or more! ), intense, symbolic, and fully participatory. Our country vigil, as I like to call it, is a concentrated version of the Great Vigil of Easter but contains most of the same elements except for the blessing of the Font and the celebration of the Holy Eucharist. Like the traditional Vigils of Easter, there is the lighting of the new fire in the darkness; the blessing and lighting of the Paschal (Easter) Candle; the singing of the Exultet or Paschal Praeconium, the great proclamation of the Resurrection parts of which derive from Ambrose; the reading of some (though not all) of the ‘prophecies’ – there are up to twelve! ; the renewal of our baptismal vows; and, finally, the lauds of Easter morn. All rather simple but profound. What does it mean? It means our participation in the fruit of the Passion, the Resurrection. We re-enact sacramentally the meaning of the Resurrection as God’s great re-creative and redemptive act. Life triumphs over death; light over darkness. It cannot be the extinguishing of the past but the past now as seen in a new light, in the light of the Resurrection. The Vigil imaginatively and scripturally celebrates the passover from death to life, from darkness to light, representing the whole history of salvation. The renewal of our baptismal vows – or in the case of Bronwyn, the rehearsal of the vows she will make tomorrow morning – reminds us that the great Vigil of Easter was precisely that time when converts to the Faith, young and old, individually and by family, were baptized and confirmed by the officiating bishop. In other words, we participate and recall our incorporation into the Body of Christ.